Are you registered to vote? Have you moved since the last election? 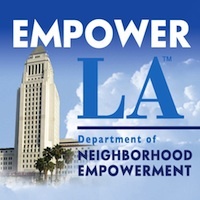 H– Los Angeles County Plan to Prevent and Combat Homelessness. To fund mental health, substance abuse treatment, health care, education, job training, rental subsidies, emergency and affordable housing, transportation, outreach, prevention, and supportive services for homeless children, families, foster youth, veterans, battered women, seniors, disabled individuals, and other homeless adults; shall voters authorize Ordinance No. 2017-0001 to levy a 1⁄4 cent sales tax for ten years, with independent annual audits and citizens oversight? A– ARCADIA TEACHER AND ACADEMIC INSTRUCTION PROTECTION MEASURE. To keep Arcadia schools among the best in California by renewing approximately $4.3 million in annual local funding the state cannot take away, shall Arcadia Unified School District continue attracting/retaining quality teachers; keeping schools safe/clean; protecting quality math, science, technology, reading, writing, art and music programs by extending the expiring school parcel tax at $288 per parcel annually for 18 years, requiring independent oversight/audits, senior exemptions, and all funds used locally to maintain quality education? T– Shall the ordinance, to permit the Council to levy generally on visitors to the City a maximum 12% tax on hotel/motel charges, estimated to annually raise $285,000 for general City purposes, including for law enforcement and street repairs, and without a sunset clause, be adopted? B– CANNABIS TAX. Shall the proposition imposing a tax on cannabis related businesses operating within the City of Bellflower be adopted? CC– To continue to provide about $5 million annually to preserve essential City services like Police, Fire, Parks, Library, Recreation and Public Works and other local programs and general services, shall an ordinance be adopted to extend the City of Covina s current 6% utility users tax on telephone, gas, electricity and water services to March of 2029, without raising the rate of the tax or taxing any additional utility services? PS– Shall the 2017 Temporary Public Safety Funding Ordinance imposing an excise tax of $139 per parcel per year on single-family and unimproved property; $181 per dwelling per year on multifamily property; and between $1,550 to $49,600 per parcel per year on industrial, commercial, mobilehome park and other nonresidential properties be adopted for 5 years to raise approximately $2,000,000 per year to pay for approximately half of the City s annual cost of providing police protection services? M– CANNABIS REGULATION AFTER CITIZEN INPUT, TAXATION AND ENFORCEMENT. PROPOSITION M. Shall an ordinance providing for enforcement, taxation and regulation of cannabis and/or cannabis products (cannabis) by: 1) providing that the City Council retains the authority to amend existing and adopt new regulations regarding cannabis activity in the City after conducting public hearings regarding various aspects of the commercialization of cannabis and medical cannabis, and giving priority in the processing of applications to existing medical marijuana dispensaries operating in compliance with current City law; 2) authorizing criminal penalties, nuisance abatement, increased civil fines and disconnection of water and power utilities for unauthorized cannabis activities; and 3) establishing new business taxes, effective January 1, 2018, including taxes of $100 per each $1,000 of gross receipts from cannabis sales and $50 per each $1,000 of gross receipts from medical cannabis sales, $10 per each $1,000 of gross receipts from cannabis transportation, testing or research, and $20 per each $1,000 of gross receipts from cannabis manufacturing, cultivation or other commercialization of cannabis; be adopted? N– CANNABIS ACTIVITY PERMITS, REGULATION AND T AXATION. INITIATIVE ORDINANCE N. Shall an ordinance establishing a City permitting program for cannabis activity, prioritizing existing medical marijuana businesses compliant with current City law (MMBs) and maintaining 135 dispensaries in the City unless increased by the City Council, including by: 1) authorizing the City to issue permits for cannabis activity including cultivation, manufacture and sale of medical cannabis; 2) providing existing compliant MMBs a limited time to register for initial permits for specified cannabis activity and other priority in the permitting process; 3) allowing permitted cannabis activity in certain non-residential zones; 4) providing operational standards and minimum-distance requirements from schools and other sites; 5) authorizing fines and other penalties for non-permitted cannabis activity but limit enforcement procedures for violations of the ordinance by permit holders; and 6) allowing permittees to operate as adult use marijuana businesses and impose a tax of $80 per each $1,000 of gross receipts from adult use marijuana sales if state law changes to allow non-medical adult use of marijuana; be adopted? P– MAXIMUM TERM OF HARBOR DEPARTMENT LEASES. CHARTER AMENDMENT P.
S– BUILDING MORATORIUM; RESTRICTIONS ON GENERAL PLAN AMENDMENTS; REQUIRED REVIEW OF GENERAL PLAN. INITIATIVE ORDINANCE S. Shall an ordinance amending City laws related to the General Plan, including to: 1) impose a two-year moratorium on projects seeking General Plan amendments or zone or height- district changes resulting in more intense land use, an increase in density or height, or a loss of zoned open space, agricultural or industrial areas, with exceptions including for affordable housing projects and projects for which vested rights have accrued; 2) prohibit geographic amendments to the General Plan unless the affected area has significant social, economic or physical identity (defined as encompassing an entire community or district plan area, specific plan area, neighborhood council area or at least 15 acres); 3) require systematic, public review of the General Plan every five years; 4) prohibit project applicants from completing environmental impact reports for the City; 5) require the City make findings of General Plan consistency for planning amendments, project approvals and permit decisions; and 6) prohibit certain parking variances; be adopted? LL– LIBRARY TAX. Shall the proposition renewing a special parcel tax for library services at the Monterey Park Bruggemeyer Library be adopted? D– Shall an ordinance be adopted that continues a levy of the existing special tax for a period of twelve (12) years on each eligible parcel in the City at the initial base rate of $342.34 plus $0.196073 per square foot of building improvement effective July 1, 2017, and maintains the existing 6.2% limit on annual adjustments, initially generating approximately $4.7 million annually to finance fire suppression and paramedic services? C– Shall Redondo Beach approve amendments to its Coastal Land Use Plan Implementing Ordinance (partially adopted in 2010 in Measure G) to provide additional analytical procedures and additional limits reducing the amount and type of development in the Coastal Commercial Zones and the Parks, Recreation, and Open Space Zone (Seaside Lagoon), located in the Redondo Beach King Harbor-Pier area? – 2017 Administrative and Election Cost Reduction Measure: Shall the office of City Treasurer be appointive?